Each Zodiac Sign is associated with Herbs, Flowers, Magical abilities etc. Your Lucky Flower is a very personal symbol which – as the Totem Animal – connects us with mother nature. Use it wisely to bring forth its blessings. Of course, if you are allergic to it choose other alternatives of the sign. Some flowers might be poisonous (especially foxglove) hence be very careful when you handle them. First of all, we have to make it more personal. All Zodiac Signs are split in their 3 decades. Each decan is ruled by a different planet hence it is more associated with you. What if I’m born on Cusp? 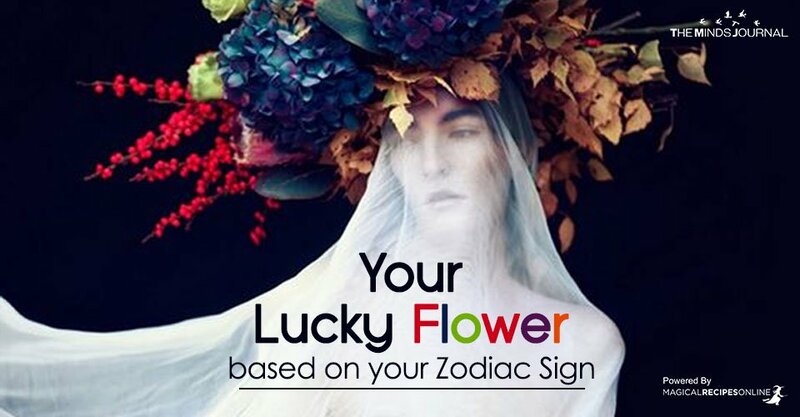 If you are born on cusp both Flowers are lucky for you! Milk thistle has been one of the most blessed herbs, loved by many Witches around the World. Due to its appearance and the milky substance, it contains it was associated in very early times with pregnancy and lactation. The whole flowers along with the spikes were used for protection during pregnancy and were placed in a magical bag along with other herbs such as motherwort. The bag was placed underneath the bed of the mother to ensure protection during pregnancy and a safe labour. Your lucky flower is blessed by Mother Nature, Herself. They were associated with Gods and Goddesses of Spring and all their feasts. Moreover, a tulip bulb is believed to attract love and helps us banish our fears and attachment issues. It was used by ancient priests to celebrate Love and Affection as well as rebirth of Nature. Tulip is known for its simple and elegant beauty and it helps us feel beautiful from the inside. Your lucky flower promises riches and success. It’s scent is believed to attract money and abundance. This flower is also adored by fairies you are believed to drink from their ‘nectar’. Planting honeysuckle is believed to spread good luck and sustainable growth. You can also leave small offerings to the fairies as well as wishes too for them. It is believed to be the Perfect Flower. Hence is both associated with Beauty and Wisdom as well. Uncountable legends tell us about the powers and the magical wisdom that surrounds the Rose. Moreover, the five-petaled rose is associated with the Pentagram and the Hieroglyph of the Rose implies a Gateway. This amazing red flower is associated with Goddess Persephone whose return marks the coming of Spring. It reigns on Spring and is also associated with triplet Winged Gods Oniros, Hypnos and Thanatos (gods of Dreams, Sleep and Death). Hence everything that has to do with the Night, Death and Dreams is associated with this flower. Moreover, Poppies are used is Good Luck spells and Invisibility Spells.